An away win and a clean sheet are not to be scoffed at for Arsenal this season, but did we miss an opportunity to do a bit more in yesterday’s 1-0 win over Watford? 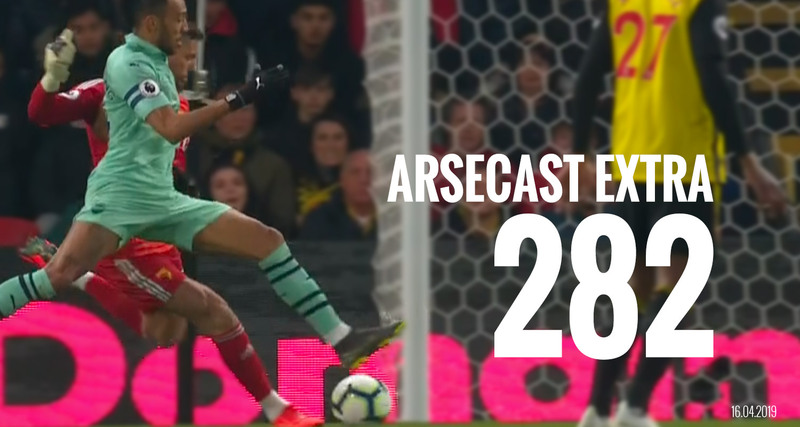 We discuss the game, the goal, the hilarious sending off of Troy Deeney, Unai Emery’s substitutions and how they didn’t exactly help, plus our inability to properly take advantage of the extra man and boost our goal difference. We also answer listener questions about Dinos Mavropanos, how to approach the Napoli game on Thursday and the possible team selection, Emery’s contractual situation, and much more – in particular not being able to remember red cards given against us. Next articleTake your pick: Europa League win or top four finish?